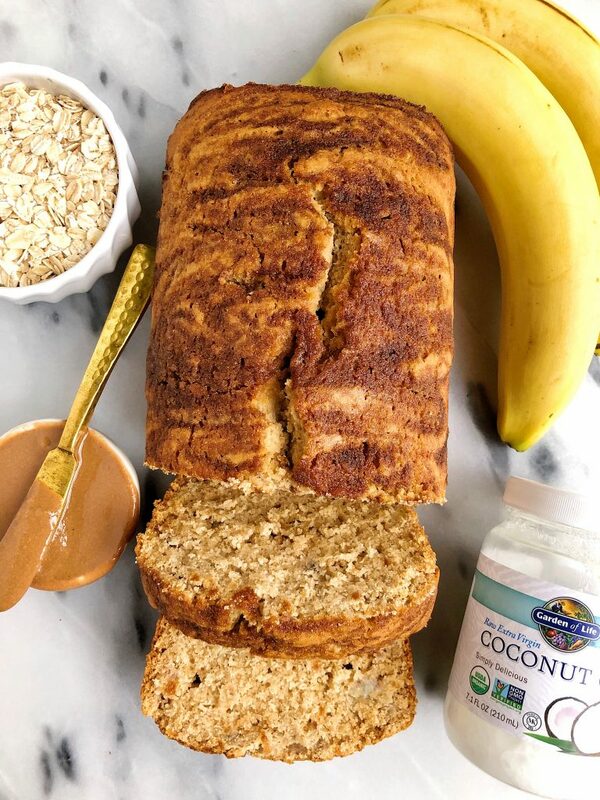 This Cinnamon Roll Banana Bread is also gluten-free, nut-free and plant-based so it is very allergy-friendly for most. I use brown rice flour (one of my faves for gluten-free and nut-free baking!). I also bake this with flax egg and extra virgin coconut oil from Garden of Life. By now, you guys know that those two items are staples over here in the kitchen. I use them in so many recipes every week and the ground flaxseed is super versatile. You can sprinkle it on top of yogurt, blend in smoothies, make flax eggs from it, anything! And you know the low down with coconut oil, so I won’t bore you guys. Just be sure to melt it then let it cool before adding to the batter! I cannot wait to to hear what you guys think of this banana bread recipe. 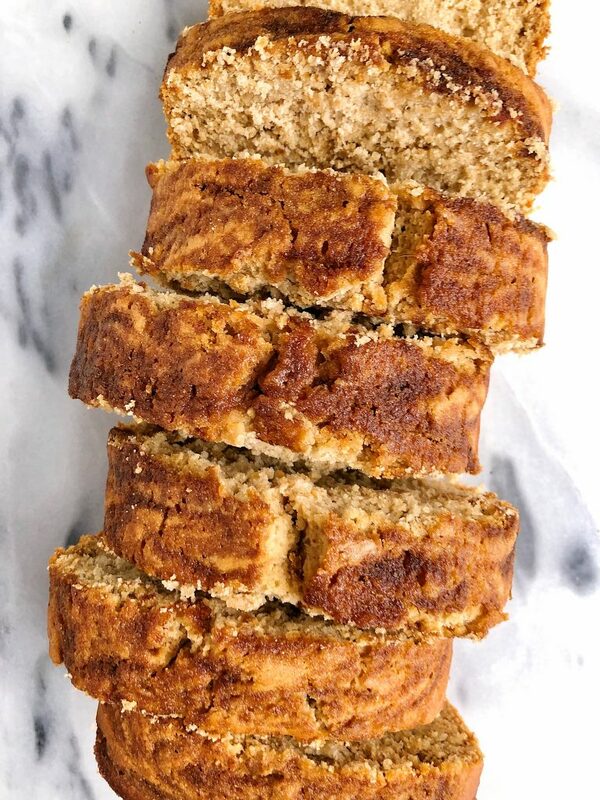 If you are craving some more delicious banana recipes, here are a few of my other faves: Paleo Chocolate Chunk Tahini Banana Bread, Vegan Chocolate Chip Peanut Butter Banana Bread and the classic Paleo Chocolate Chip Banana Bread. Do you have any suggestions to another egg replacer? My son is allergic to eggs and flax seeds. This recipe looks so good and I would love to make it allergy friendly. I have made this now three times! 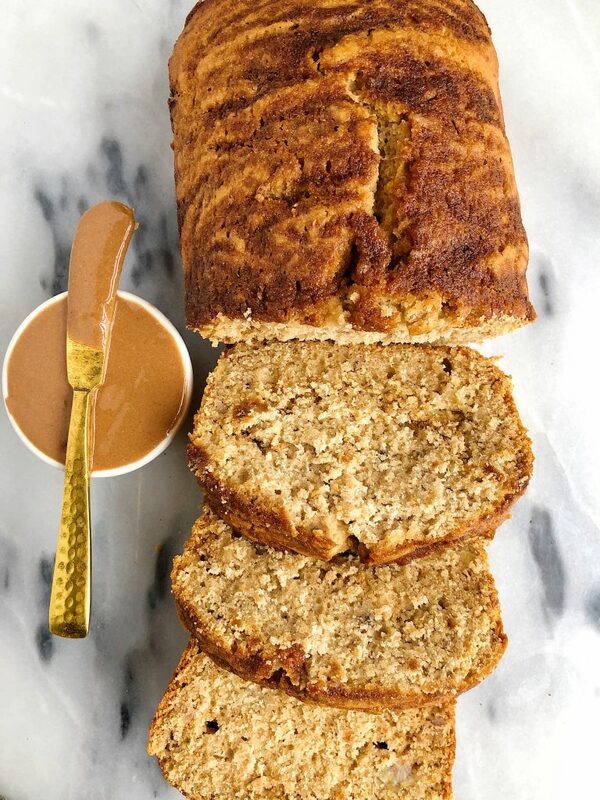 My husband loves this bread more than regular banana bread. Yum! !